What do UK consumers want? Natural and organic beauty products. When do they want it? Now, if the mass of recent data, business success stories, and exhibitions are anything to go by. According to the Soil Association’s Organic Market Report 2015, UK sales of organic health and beauty products reached £44.6m for year-end 2014, up 20% on the previous year, with sales expected to have grown at a similar rate in 2015. Sales have been boosted by the growing focus on natural and organic beauty. Research in Mintel’s 2025 Trends report highlighted that some 42% of UK consumers now prefer to buy natural and organic personal care products because they believe they are better for the environment. 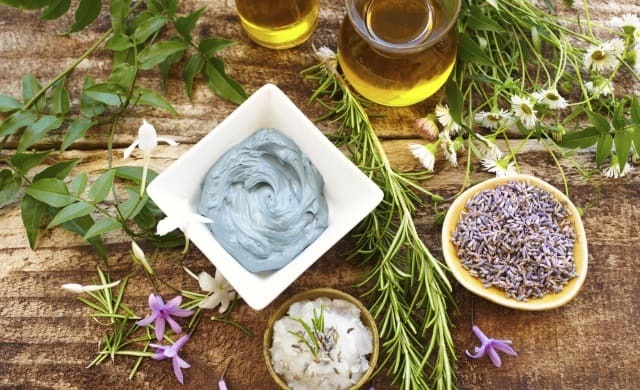 What’s more demand for natural skincare products isn’t gender specific; 50% of UK men now believe that facial skincare products with natural ingredients are better for their skin. Research from J Walter Thompson Intelligence in November 2015 indicates that the majority of consumers now want to buy natural beauty products and are looking to beauty brands to create prroducts that will calm their anxieties over the perceived risks of using conventional products. Consumers now, more than ever, want to know what goes into their skincare and beauty products. You only need to look at consumer interest in natural and organic beauty exhibitions and conferences to see that this is the case. The aptly-named annual rganic and Natural London exhibition, which showcases natural, organic, fairtrade, ethical and free-from beauty products from around the world, claims to attract a staggering 33,000 visitors and has a number of beauty brands set to exhibit at its February 2016 show. This shift in consumer attitudes has converted into success for a number of natural and organic beauty companies. Last year we saw Tropic Skincare, the all-natural vegan skincare business founded by ex-Apprentice contestant Susan Ma, triumph at the 2015 Startups Awards and there is still space for budding beauty entrepreneurs to create their own niche natural beauty product. The most obvious business opportunity in this market is to create your own natural and organic beauty brand. You can take inspiration from big success stories such as Neal’s Yard Remedies, Botanicals and Burt’s Bees or learn from the innovative approaches of new entrants to the market such as Skin & Tonic and Aurelia Probiotic Skincare. Launched in 2013 by Young Gun-to-watch Claire Vero, Aurelia specialises in naturally-formulated probiotic cosmetics and is stocked with Space NK Apothecary, NET-A-PORTER and Liberty; it is Liberty’s fastest growing skincare brand. With the subscription market booming, market researcher Mintel has also indicated potential business opportunities for entrepreneurs to create a natural beauty skincare subscription box company. You could send customers a box of natural ingredients which they would then combine to create their own homemade beauty products. You can find out how to start a subscription business here. Or you could start your own vlogging (video blogging) business with a focus on natural and organic beauty. The homemade beauty market is big in the vlogosphere with popular vloggers such as Michelle Phan having amassed millions of views on homemade face mask and beauty product tutorials. Her DIY rice scrub and mask tutorial video has had over three million views alone! For anyone looking to start a natural beauty business, you will need to follow strict EU laws to ensure that your products are organically certified. The Soil Association provides a list of the components you should avoid putting in your products which can be found here. She told Startups.co.uk: “People are becoming much more aware of what they put on their skin, and we’re seeing a dramatic increase in the demand for safer cosmetics that are free from toxic chemicals and environmental pollutants. We’re moving into an exciting age where brands need to be up front and honest about what they put into their products, and how they manufacture and test them. “Being honest about ingredients in personal care products shouldn’t feel like a hoop to jump through, as it does for many brands. At Tropic, we make all of our skincare, body care and a handful of our mineral makeup in house, so we have complete control over our manufacturing, from formulation to distribution.